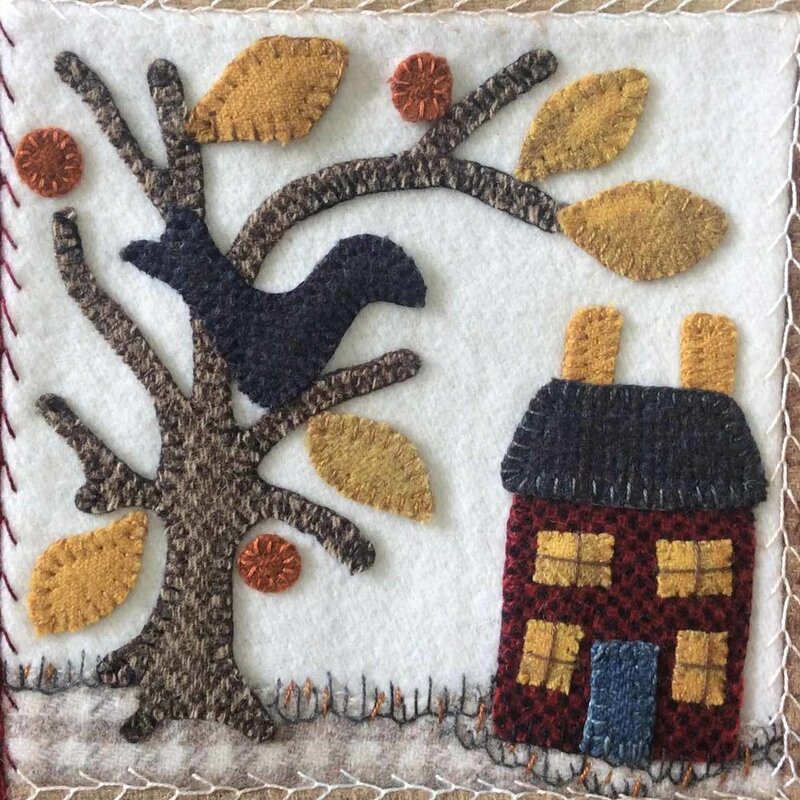 This wool block of the month is created from a Lori Smith pattern, From My Heart To Your Hands, called Fit to Frame 6. 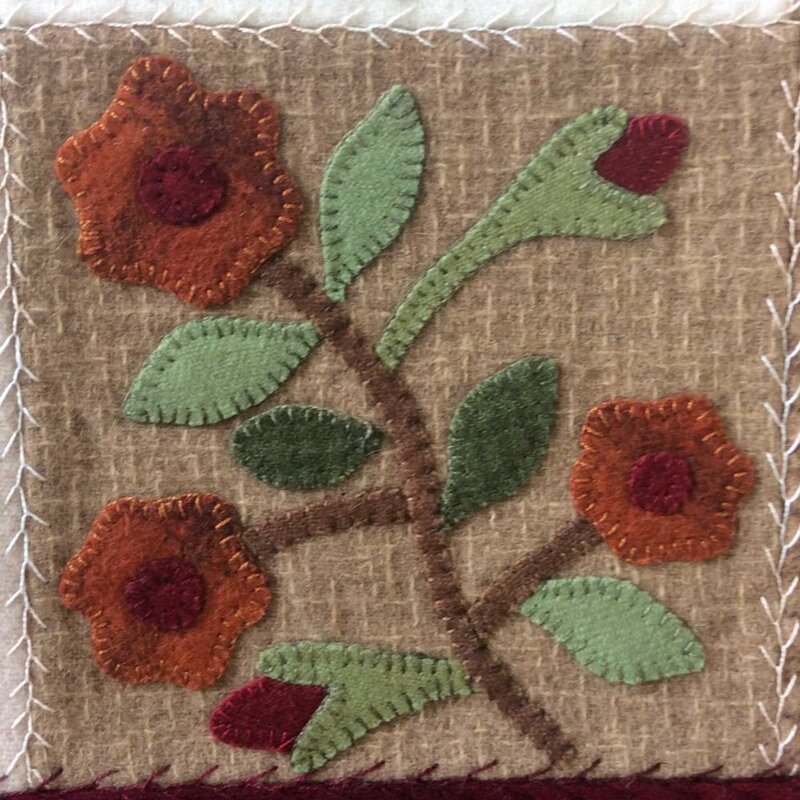 The pattern is designed with cotton fabrics in needleturn applique, but we chose wool applique on wool background blocks. 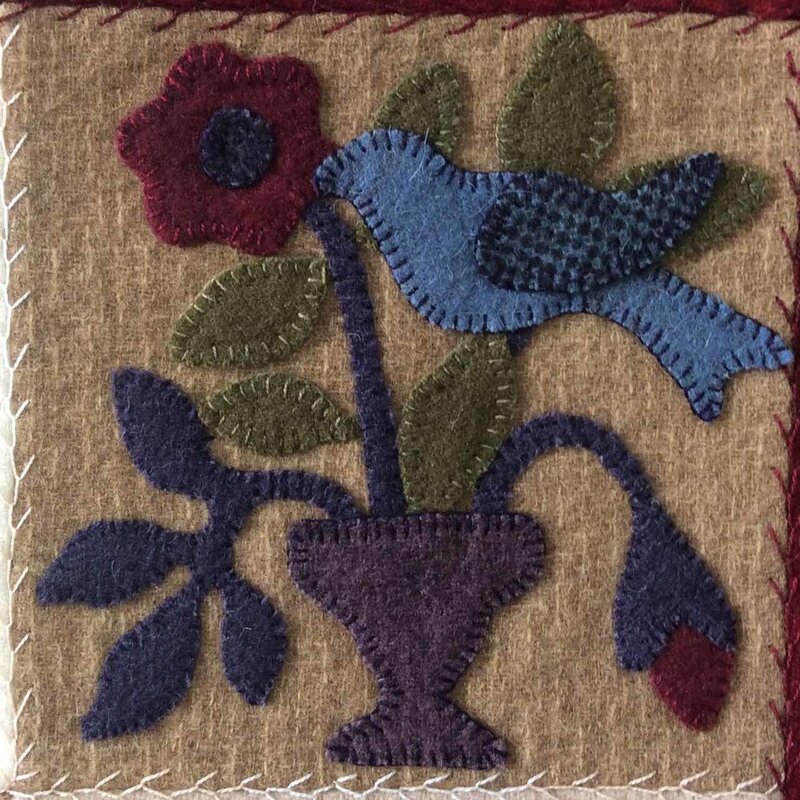 The blocks are then seamed together and embroidered with a feather stitch. We will tell you more about as the quilt develops. The red border is wool and the binding is flannel. The twelve-month program began in July, 2017; the price for each month is $14 and includes all wool for blocks and border, and the binding. If you would like it mailed to you just give us a call.